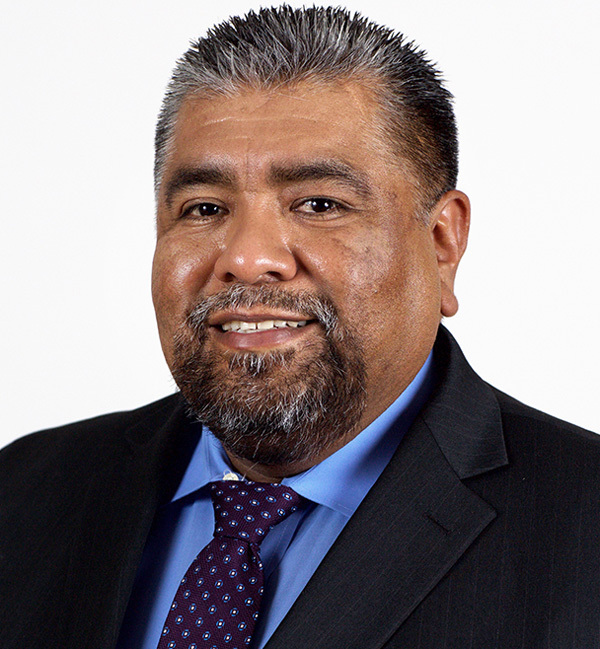 McALLEN — Weslaco City Commissioner Jerry Tafolla became the latest elected official to be charged in a bribery scheme surrounding the city’s water treatment facilities. Tafolla stood before U.S. District Judge Micaela Alvarez and pleaded guilty to one count of federal program bribery Monday morning for allegedly accepting bribes from 2011 through 2014 related to contracts for the construction and rehabilitation of the Weslaco facilities. As part of his plea agreement, Tafolla will have to forfeit $20,000 which represents the money he is believed to have made from his participation in the scheme. Three other former and current elected officials accused of participating in the same scheme also appeared in court Monday. Former County Commissioner A.C. Cuellar, former Weslaco City Commissioner John Cuellar and Rio Grande City school board Trustee Daniel Garcia made their initial appearance in federal court before U.S. Magistrate J. Scott Hacker following their arrests by federal authorities on Friday. Hacker set a $75,000 unsecured bond for each of them and set conditions for their release. Hacker also set Tafolla’s bond, but information about the amount was not readily available Monday. In an exception to one of the conditions, Garcia, an attorney, was allowed to travel outside the Southern District of Texas for work. John Cuellar, however, was set extra conditions. Hacker required him to participate in substance abuse counseling, ordered him to refrain from the use of alcohol, and ordered he be appointed a third-party custodian. All are accused of being entangled in a scheme that was orchestrated by former Rio Grande City Municipal Judge Leonel Lopez Jr., who pleaded guilty to federal program bribery March 22. Lopez, with the help of Garcia and A.C. Cuellar, allegedly funneled nearly $4 million from three companies to two Weslaco city commissioners, Tafolla and John Cuellar, from 2008 to 2016. A Weslaco businessman, Ricardo Quintanilla, was also arrested last month and accused of helping funnel those funds to the two city commissioners. Lopez is scheduled to be sentenced July 15, while Tafolla is scheduled for sentencing July 10. Quintanilla is currently scheduled to appear in court again on May 2 for a final pre-trial hearing. Future court hearings for Garcia, A.C. Cuellar, and John Cuellar have not been set. This story has been updated to correct U.S. District Judge Micaela Alvarez’s title.